Roller doors are a cost-effective garage door option that is also aesthetically pleasing. They are not only customisable, but they can also be made automatic with a roller door motor. Motors can be added to existing roller doors, but if you are having one installed, then there is no need to add the lock on the outside as long as a motor is being installed with it. Many homeowners like this option as it makes the outside of the roller doors have a cleaner look. Motorised doors also save you the hassle of having to get in and out of your car to close it behind you. Doors Direct proudly recommend Merlin products when it comes to roller door motors; they durable, feature innovative technology, and are equipped with safety reversing systems. Don’t let a power outage lock you out, the Silent Drive 850+ with battery back-up you will never get caught out. It is ideal for large single or double residential roller doors. This premium quality automatic opener is quiet, secure and contains the latest energy-saving design features. Includes a 7-year on-site warranty. 2 remotes, 1 wireless wall controller, battery backup, wireless keypad & free door service. Ideal for large single or double residential roller doors. This premium quality automatic opener is quiet, secure and contains the latest energy-saving design features. Includes a 7-year on-site warranty. 2 remotes, 1 wireless wall controller & free door service. This proven performer is designed for single or double roller doors up to 16.5m2 it is a smart choice for new or existing doors. This innovative technology allows you to monitor, control and receive alert notifications away from home. 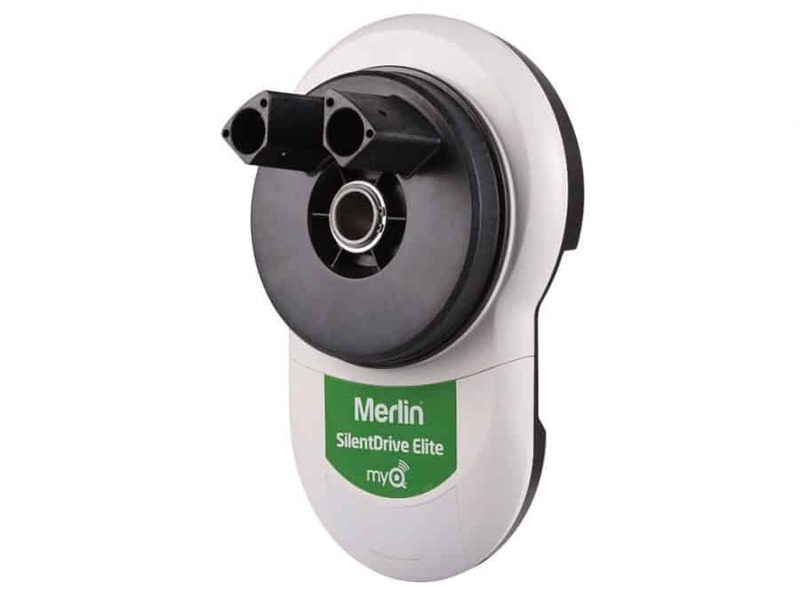 The SilentDrive Elite MyQ garage door opener uses a Merlin Internet Gateway which connects to your router and enables complete control of your garage door opener via your smartphone, tablet or computer. Make things easier for yourself and add a motor to your roller door. If you’re unsure of which of our motors will suit you best, Doors Direct will help. Give our team a call or email us at info@doorsdirect.com.au with your enquiry today. We’ll find the best solution to get your roller door automatic!